Reverend Dr. Martin Luther King, Jr.: A Presidential Impact King dreamed it, Obama realized it … but how much farther to the promise land? The inauguration of President Barack Hussein Obama for his second term in office will be held in Washington, DC, on Monday, January 21. 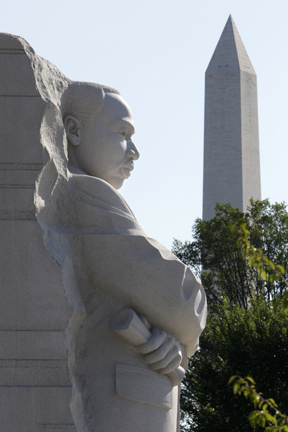 The date also marks the federally recognized holiday of the birth of civil rights leader Dr. Martin Luther King, Jr. The significance of these two events has been widely noted. Many comparisons have been made with Dr. King throughout Obama’s first term, and countless memorabilia items have been created that cement the comparison. Some of what Obama shares with Dr. King are his charisma and handsomeness, a beautiful and intelligent wife who can hold her own and beautiful children. Both men come from strong culturally-intact backgrounds – Dr. King was raised in the loving bosom of an African American and Baptist family and community during the era of segregation; President Obama’s upbringing was multi-ethnic, multi-cultural and international in scope. Both men were intellectuals, with Dr. King receiving the Doctor of Philosophy degree from Boston University in Massachusetts, while President Obama taught Constitutional Law after receiving his law degree from Harvard University. Both men have written books and were awarded the Nobel Prize for Peace. And both men have been staunch supporters of the state of Israel. Various memorabilia that cement the comparisons of the two men also imply that the Obama Presidency is a fulfillment of Dr. King’s legacy. But is it? “It is absolutely,” said Dr. David Horne, professor of Pan African Studies and Public Policy at California State University, Northridge (CSUN). “Part of what Dr. King hoped for was an America that could judge its worthwhile citizens by the ‘content of their character, more than the color of their skin.’ President Obama is a living testament to that,” said Horne. 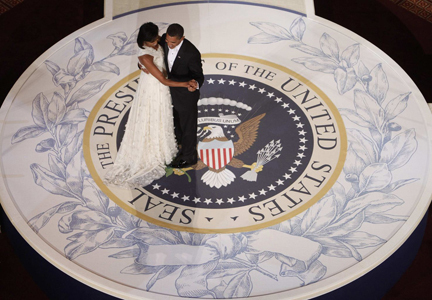 Very few have downplayed the importance of the symbolism of Obama’s first term but many have been critical of how that first term has impacted African Americans. In other words, where is the substance to go with the symbolism? Stanford believes that at least some of the blame for a lack of substance can be found outside of the White House. Although there should be differing expectations, one cannot help but notice the similarities. Just as glaring however, are the differences. First and foremost, Dr. King maintained an inner circle of men who looked like him and shared many of his same experiences: Ralph Abernathy, Andrew Young, Hosea Williams, James Orange, Bayard Rustin, Kwame Ture (aka Stokely Carmichael) and others. 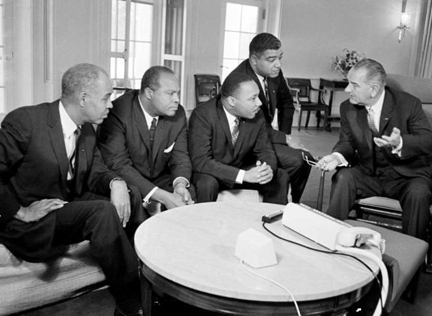 Relying on these men (and some women like Ella Jo Baker) and others he met while engaged in the struggle for Black civil rights helped to move Dr. King to a position where he began to criticize both the economic and foreign policies of the United States. As president of the U.S., Barack Obama has sworn to uphold those policies. While Dr. King told us that militarism was an evil that must be looked at for what it is, President Obama has permanently placed American military troops – approximately 3000 so far – on the continent of Africa through AFRICOM (Africa Command); conducted a ground/air war in Libya which led to the murder of that country’s leader; and continues to maim and murder children, women and men in Pakistan and Yemen through the use of Predator Drones (unmanned aerial vehicles). “Obama’s Presidency raises a lot of contradictions for us,” says Kwazi Nkrumah, coordinator for the Martin Luther King Coalition for Jobs, Justice and Peace, founded in Los Angeles in 2009. As we approach the inauguration of President Obama’s final term in office, it seems almost fitting, then, that we ask the question that Dr. King asked in the title of one of his books: where do we go from here? “He didn’t really feel that this system was the end-all-be-all of our freedom,” remarks Nkrumah of Dr. King. “This economic system, the international relations that grow from it, and the politics based on it, have to be restructured,” Nkrumah said.